Wacky Wednesdays – Nastee Crush! Wacky Wednesdays – Not Goodie! 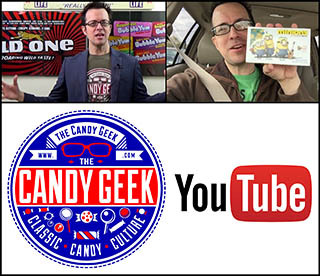 Hello everyone and welcome back to another quick and fun edition of CollectingCandy.com’s Wacky Wednesdays. For today’s post I’m going to take a look at Bit-O-Money, from 1974’s Wacky Packages Series 6. Today’s edition of Wacky Wednesdays will showcase a sticker from Wacky Packages original 1970’s run. Specifically, the Mounds parody, Pounds, from 1973’s Wacky Packages series 5. For today’s edition of Wacky Wednesdays we’re going to delve back to 1974 and the original Wacky Packages series 12 for the parody of Hollywood’s Payday candy bar, Paydough.